Bad news for Switch owners as, in an interview with Gameblog.fr, Yakuza Series Producer Daisuke Sato showed concern for Nintendos hardware limitations with regards to the series past. He also made it very clear that to him, the Yakuza series did not have a future on the Nintendo Switch. To be realistic about what happened, Yakuza 1 & 2 HD for Wii U was a major failure. But we always have the optics to develop the multi platforms as much as possible and we know that it brings an additional audience and that it allows to drain more people. On the other hand, as far as the Switch is concerned, I'm convinced that this is not the platform on which to develop Yakuza games would be ideal. Maybe the public does not expect this kind of game on Switch.Maybe they are used to different games. This may not be the ideal platform. Hope for Switch is Grim, But What About Other Platforms? The Yakuza games have remained relatively faithful to the Sony consoles but could that be changing? On the E3 PC Gaming show, Yakuza 0 and Yakuza Kiwami were announced for PC releases. Yakuza 0 is already set for pre-order on Steam. The next part of the interview with Daisuke Sato might suggest something positive for Xbox fans. Regarding the Xbox One, we can possibly consider it, knowing Xbox One users may be more likely to be interested in a game like Yakuza. This could potentially be an option. So perhaps we might be seeing Yakuza on Xbox soon. Producer Daisuke Sato seems optimistic about it. Are the Switch’s hardware limitations coming back to haunt it? Additional Notes: GPU with a GPU mark of 2600 to 3100, CPU with a CPU mark of 4500 to 6300. What do you think about the Yakuza games? 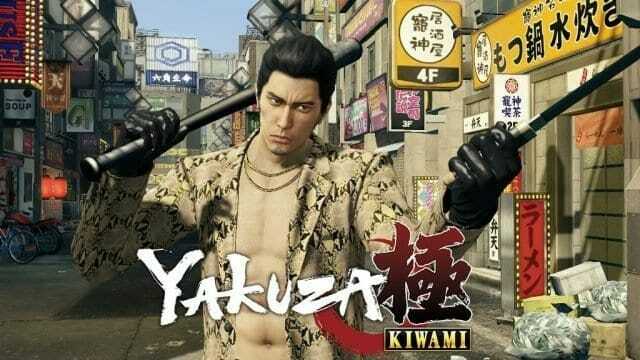 Are you excited to play Yakuza 0 and Kiwami on PC? Would you want Yakuza on Xbox One? Let us know in the comments below! Lore and Leaks Hints at Dota 2 New Hero Mars or Water Spirit?